U.S. stocks surged Friday, with the Dow hitting an intraday record, joining a rally in Asian and European shares that was spurred by the Bank of Japan’s decision to unexpectedly expand its stimulus measures. Stocks wavered around the unchanged mark in afternoon trade Monday, as investors paused following the biggest weekly gains for major indexes in more than a year. U.S. stocks turned lower in afternoon trading on Wednesday, with major indexes erasing earlier gains as a shooting at the Canadian parliament unnerved investors and Boeing and Biogen sold off following results. U.S. stocks moved mostly higher Monday following a turbulent week. IBM fell sharply after reporting results that missed investors' expectations, pulling the Dow Jones industrial average lower. U.S. stocks returned to the red Thursday afternoon, after clawing back from sharp early losses in a day of seesaw trading. U.S. stocks slumped, with the Standard & Poor’s 500 Index falling below its 200-day average, as investors weighed prospects for Federal Reserve interest rate increases and slowing global economic growth. 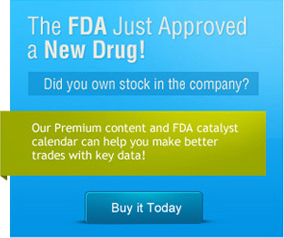 Active Stocks: Rockwell Medical, Covidien plc, Titan Pharmaceuticals, Tekmira Pharmaceuticals, Mylan Inc.